In physics, potential energy refers to an object’s stored energy and its ability (or potential) to give off that energy in an environment. It could be a ball at the top of a hill, a coiled spring or anything that with just a little push can make a lot happen. And while the possibilities of a ball or a spring may be obvious, one of the most unrealized objects of potential energy is company intranet. For many companies, their intranet’s true potential is never fully realized and they miss out on the collaboration and innovation that comes from converting potential energy into kinetic success. Company intranets can be an amazing resource, but even the best tool won’t do any good if it isn’t put to work and used in the right way. At MangoApps, we believe that there are few things more heartbreaking than untapped potential, especially in business and corporate success. 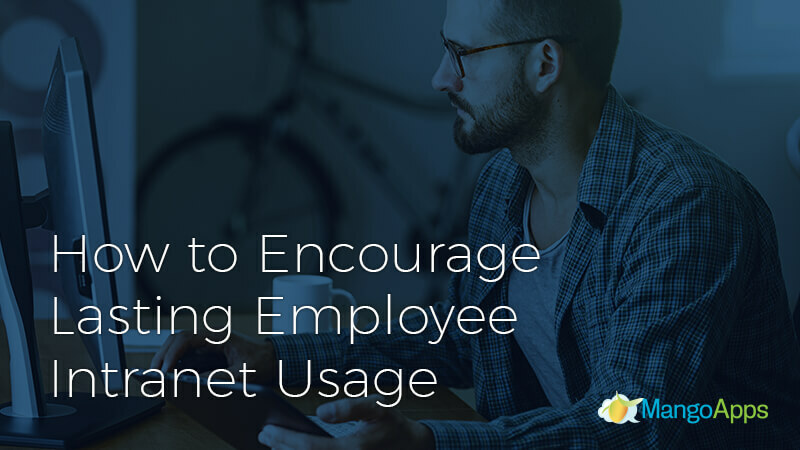 So we are sharing the 7 best ways companies can encourage lasting employee intranet usage and unleash the potential energy their internet has in store. Designating certain office information as available only on the intranet is an easy way to encourage natural employee engagement. When employees ask about intranet only content, gently refer them back to the intranet rather than just answering the question. This subtle practice helps employees get into the habit of using their intranet as a resource and increases their own informational self-sufficiency. Establishing familiarity with posting and receiving information through the internet will instinctively increase user engagement in other intranet areas as well. Intranets are designed to make work better and more creative, but that will only happen if they are relevant, up-to-date and easy to use. Old or irrelevant intranet information is at best frustrating and at worst dangerous if business decisions are being based on incorrect information. Working with this kind of content quickly burns out employees and creates a negative perception that can be difficult to change. In order to encourage lasting employee intranet usage, intranet content needs to be a catalyst for employees, making work easier, faster and more enjoyable. Intranets have the ability to let people collaborate, communicate and develop relationships in unique ways, but this can only happen in a space where ideas and creativity are encouraged to grow. Healthy debates and alternative viewpoints strengthen ideas but only when they are positive and focused on improvement. This is especially important in a digital setting where it can be easy to fall into false assumptions and misinterpret information. When employees feel encouraged and supported they will actively engage in successful ideas and conversations. Nothing creates push back quite like telling a person what to do, especially if the change is different or disruptive. Allowing employees to make choices increase their sense of control over a situation and encourages feelings of appreciation and active participation. This is true even if their choices are not particularly significant or relevant in the long run. Letting employees decide how and when to engage with the intranet or similar kinds of choices will help create lasting employee intranet usage and increased performance, persistence, and creativity. The adoption curve is a pattern established by human nature that explains how people typically react to changes and the rate at which enhancements are embraced. Just like profits, stocks and other business elements tend to follow certain patterns, humans also accept and utilize new technology and experiences in a fairly consistent way. Understanding this pattern helps employers create realistic intranet integration goals and expectations for employees and recognize how their company’s individual adoption and usage compares to what is expected. In society silent observers are always the majority. This means that while almost everyone consumes content, it is always a much smaller percentage of people that interact with and create it. And while that might seem discouraging at first, it’s actually completely natural. Silent observers, while not outwardly vocal, still benefit greatly from consuming content and regularly integrate it into their work. One of the best examples of successful silent observers is Wikipedia. While only a small percentage of people create and contribute to articles, the majority of society uses and benefits from them on a regular basis. Understanding and embracing silent observers helps companies understand more accurately how successful their intranet is and make better plans for creating lasting employee intranet usage. Sometimes employees can be hesitant to share but that doesn’t mean their opinions don’t exist. Supervisors can encourage discussion and participation by seeking out specific employees who may have insights or contrary positions and specifically invite them to voice their opinion. Often employees who have something to share only need a friendly invitation to encourage their ideas and let them know their thoughts are needed and valued, especially if they are contrary to popular opinion or have perspectives and that have not yet been considered. Creating lasting employee intranet usage doesn’t have to be difficult and with a little attention and care an intranet can be the right fit for any kind of company. At MangoApps we work with businesses to enhance their own creative abilities and help them unlock all of their potential. We love to help businesses learn about how intranet creates collaborative and creative business communication or offer advice on intranet success. 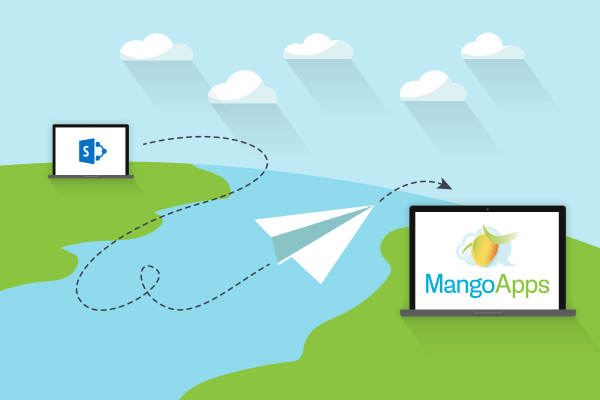 To see how your company can benefit from an engaging modern Intranet, learn more about Mango Intranet, and contact us to schedule a demo today.